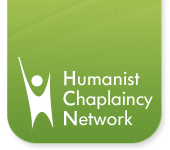 If you volunteer or work as a Humanist Chaplain, the Humanist Chaplaincy Network is designed for you. We provide an extensive range of resources and support as well as a vibrant and active community to share ideas with. Membership dues are £10 per year. Applications are charged at £15 which includes your first year's membership. Download the "About HCN" booklet using the link below to find out more, or contact us for any additional questions you have. Our application form is not currently available as we review our educational programme. Please contact us if you would like to emailed when we re-open applications.